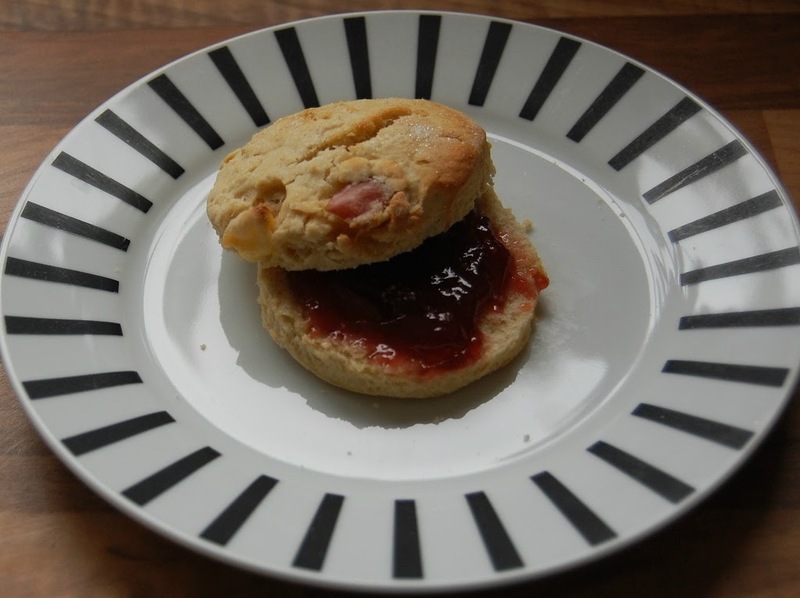 I was recently asked to take part in the OxoTot UK blogger baking challenge – to celebrate the delicious seasonal produce of autumn. To me, autumn is about the apples. My parents have an apple tree in their garden, and I remember picking all the apples at this time of year, and making apple pies, crumbles and cake. So, in keeping with tradition, we made a trip to my parents house, and collected some apples from their tree. I decided on an apple scone recipe, and luckily I had just the tool I needed for apple chopping – the apple divider. 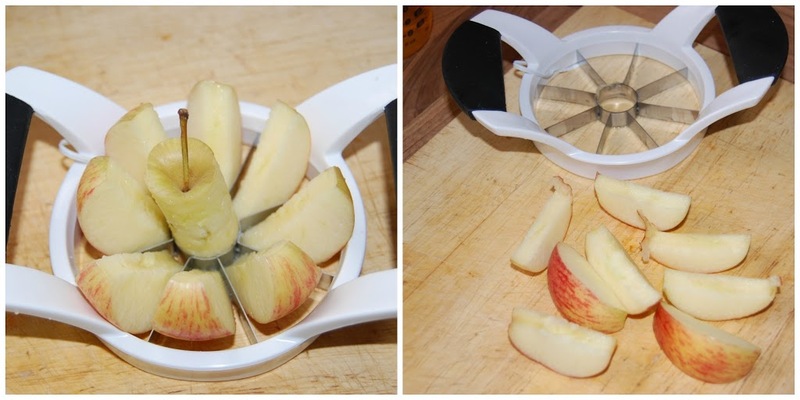 This is such a fantastically handy little tool – easy peasy apple chopping in an instant, and great for snack times too! If you need a slightly finer slice, I can also highly recommend the hand-held mandoline slicer – perfect for all types of fruit and veg! Heat 25g of butter in a saucepan, add the diced apple and cook gently for 5 minutes. Put 37g self raising flour, 1 teaspoon cinnamon and 50g sugar in a bowl. Add 50g butter and mix with your fingers until you have fine breadcrumbs. Stir in apple and a beaten egg, then gradually add enough milk to make a soft dough. Roll out to approx 1 inch thick and cut with a cookie cutter. Place on an oiled baking tray, brush with milk and sprinkle with sugar. Bake at 200*C/Gas mark 6 for 12-15 minutes. They are DELICIOUS! I love them, Kevin loves them and the kids have eaten 2 each already. They taste amazing with a good dollop of jam. Strawberry works well, but blackberry would also be amazing – another great seasonal flavour. OMG I need that apple slicer! My kids much prefer to eat them sliced up and it drives me mad cutting and coring them. I keep thinking about the apple slicer! I must buy one. 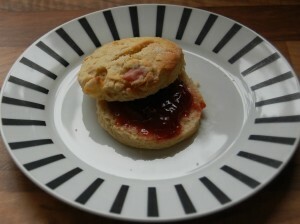 The scones are on my list of jobs for next weekend! 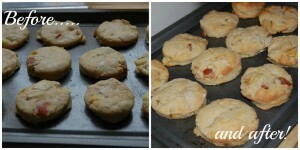 Your scones look wonderful and mouthwatering. I do have an apple slicer and it comes in handy, especially when making pies.